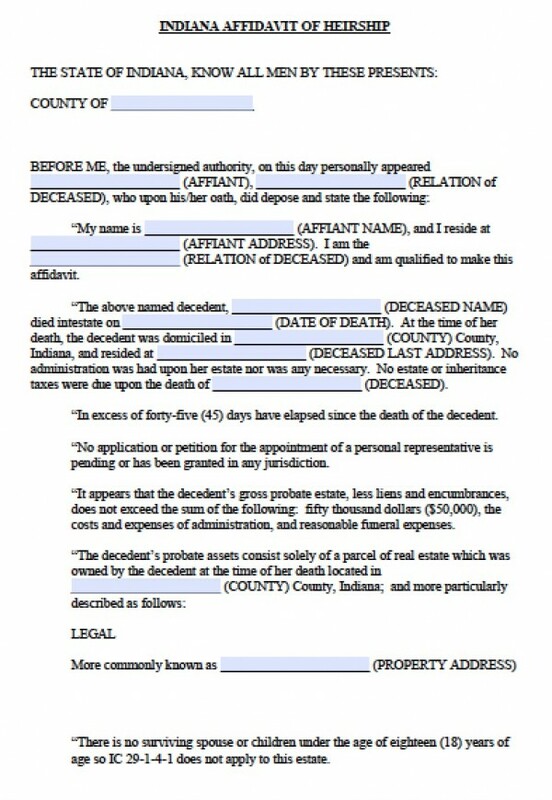 Not many states combine the affidavit of heirship and the small estate affidavit, but Indiana is one of those rare states that allows successors to claim all personal property and real estate with one affidavit form. Under Ind. Code § 29-1-8-1, successors must wait at least 45 days to file the affidavit of heirship to avoid probate court and claim all property, personal and real estate, as long as the total estate values less than $50,000. 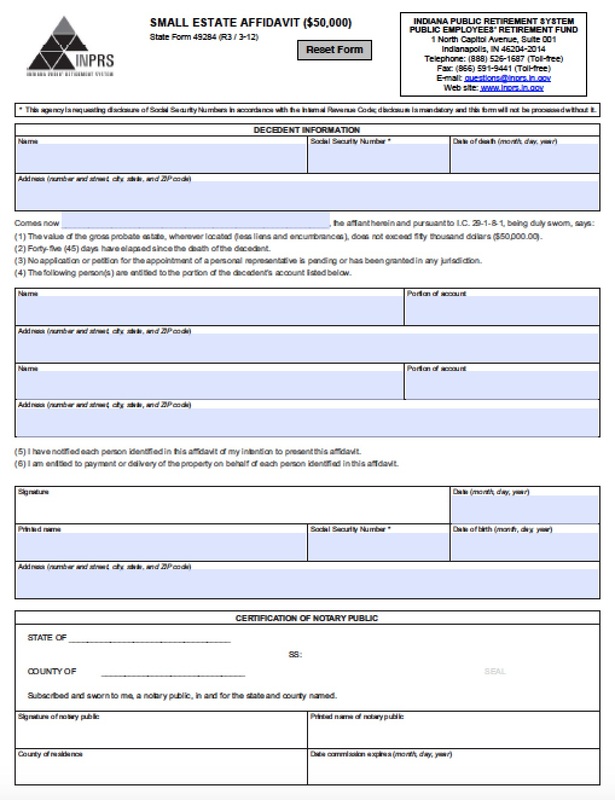 Step 3 – Obtain a notarized copy of the death certificate, and sign the document with a notary public.